This loving tribute to the defunct minor league teams of New Mexico and west Texas resurrects a forgotten period of baseball history. 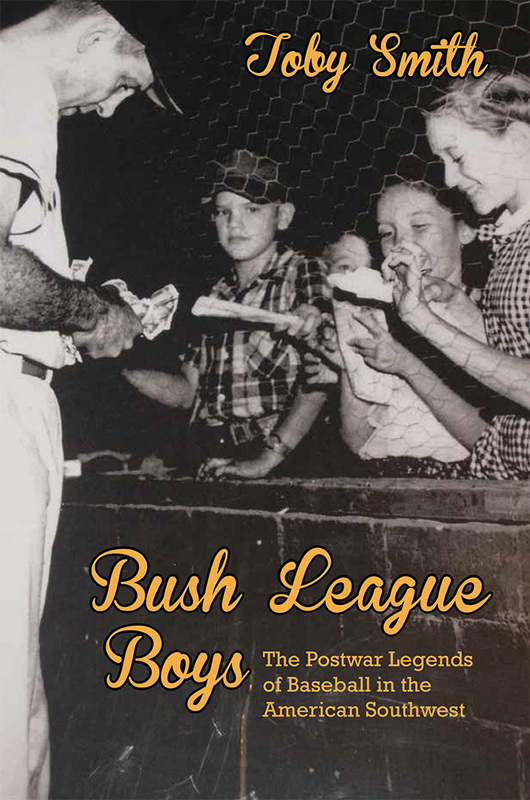 Through oral histories of players, umpires, fans, sportswriters, and team officials, Toby Smith brings to life the West Texas–New Mexico League, the Longhorn League, the Southwestern League, and the Sophomore League from 1946 to 1961, when the last of them folded. Star players Joe Bauman and Bob Crues get special attention, along with assorted brawls, a fatal beaning incident, home runs, and marriages conducted at home plate. Anyone who loves baseball will enjoy this delightful book. Toby Smith is the author or coauthor of nine books, including Little Gray Men: Roswell and the Rise of a Popular Culture (UNM Press). He lives in Albuquerque, New Mexico.